They successfully fled the brutal military regime, but their path seldom led to a happier life. In Thailand, greedy entrepreneurs have been quick to exploit illegal immigrants from Burma. They are given the country’s dirtiest jobs and they live under appalling conditions. When a garbage truck rolls into the waste dump at Mae Sot, a city of 120,000 residents on Thailand’s border with Burma, 12-year-old Ma Nge knows it’s time to get moving. The dump truck barely has enough time to unload its stinky freight before an army of at least 20 children and their parents descend upon the trash in the hope of fishing out anything that could be of use. It goes without saying that whoever arrives first gets the best stuff. It’s a terrible and degrading job. And it’s enough to turn the stomach of any visitor not used to such a malodorous locale. Scores of rats scamper over the trash, sometimes even snakes. “But I’m mostly afraid of the glass shards that cut your hands and feet,” the little girl says. Ma Nge hates her work, but she has no alternative. Nine years ago her family fled Burma, but they never managed to fulfil their dream of a better life in the border city Mae Sot in western Thailand, the first stop for many of the more than 2 million Burmese refugees believed to be living in Thailand. “This has made most Burmese easy prey for unscrupulous Thai businessmen, and the police don’t do anything to protect them,” says Moe Swe, 43, a former student leader from Yangon, who now serves as general secretary of the Burmese exile group Yaung Chi Oo Workers Association in Mae Sot. More than 80,000 Burmese work in the border town — most in the city’s more than 200 textile factories. The majority of the Burmese lack working and residency papers, enabling companies to exploit them at far less than Thailand’s legal daily minimum wage of 135 baht (€3). 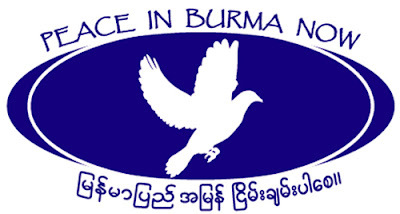 Moe Swe’s efforts to raise public awareness of the dreadful situation and also to educate his Burmese compatriots about their legal rights have often put him in deadly peril. Three years ago, mafia gangsters stormed the workers association’s office and destroyed its furniture. The perpetrators stabbed a Danish labor activist who was there on a visit. Despite the fact that Yaung Chi Oo workers continued to be attacked and badly injured by masked motorcycle gangsters after the incident, police were never able to solve the crime. And those are far from being the worst attacks against illegal Burmese workers in Thailand. That’s why Aung Thar, Ma Nge’s 60-year-old father, takes the police raids at the dump to be a more or less unavoidable act of God. “Once a month they come and purport to be searching for illegal immigrants,” he says. But often the police just come to take away the last belongings from the close to 30 families who have erected their small bamboo huts on stilts next to the Mae Sot waste dump. A year ago, the police even snatched the chickens away from Aung Thar’s family. But he accepts it all with almost stoical composure. After all, he knows that if he hadn’t made it to Thailand, he would likely be dead today, his body lying somewhere in the Burmese jungle. His family’s hometown is located in the state of Mon in southeast Burma, where a war has been raging for decades between the governing military junta and insurgents. Together with other men, Aung Thar was often forcibly recruited to serve as a sherpa to government soldiers. The living conditions were truly horrendous — three of his own children died of malnourishment. “There is no war in Thailand, and at least we have a little bit to eat,” the old man says. And he even holds out hope that his youngest child, Ma Nge — who is far too slight for her 12 years — will have a better future in store for herself than following in his grim footsteps. These days, the young girl only has to help her family with the trash collection during afternoons and weekends. Monday through Friday, she spends her mornings at the Sky Blue School, which has been built at the edge of the dump by Helfen ohne Grenzen (Help without Frontiers), a charity organization based in Bozen in Italy’s South Tyrol region. About 80 children between the ages of three and 13 are provided with instruction there in their native Burmese.